Today’s plants are faced with managing two major challenges: the increasing speed of business and integrating emerging technologies. Both are broad, and each play an important role in determining whether the organization will remain competitive and relevant. 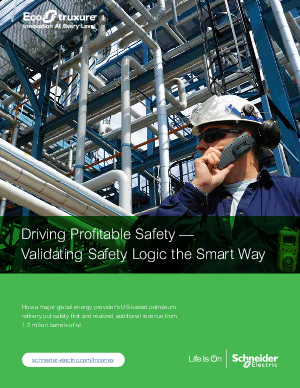 Download the white paper to learn best practices for modernizing to an IIoT-enabled control environment and methods for rendering assets and operations in a more reliable, efficient and profitable way while still maintaining high safety standards.